Farà parte dell'album What Light There Is Tells Us Nothing in uscita tra poche settimane per la newyorkese Temporary Residence Records. Intanto Clouds from Cuckooland, fortemente derivato dall'album di Robert Wyatt Cuckooland, fa ottima mostra di sé in un video disponibile in Vimeo. Così scrive l'autore, Janek Schaefer: "Clouds from Cuckooland was commissioned for an exhibition about the legend of the Canterbury Scene, and in particular the work of Robert Wyatt. 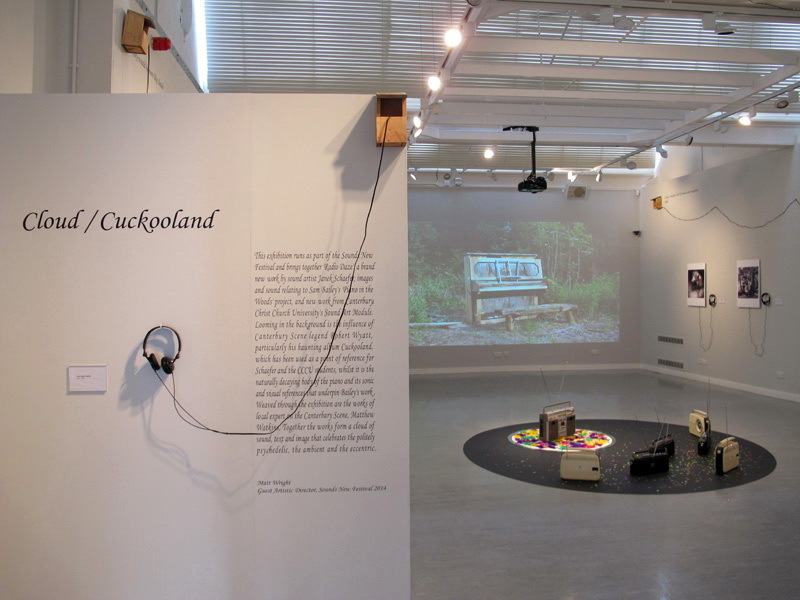 I was invited to create an installation from his Cuckooland album, which I evaporated into a 21 minute cloud of sound that floats around and around the gallery. Using 3 x FM transmitters I broadcast the composition to 3 groups of radios set out on a vinyl circle, accompanied by lasers, feathers, mirrors and glitter. Commissioned by Artistic Director Matt Wright for the Sounds New Festival, Canterbury 2014."